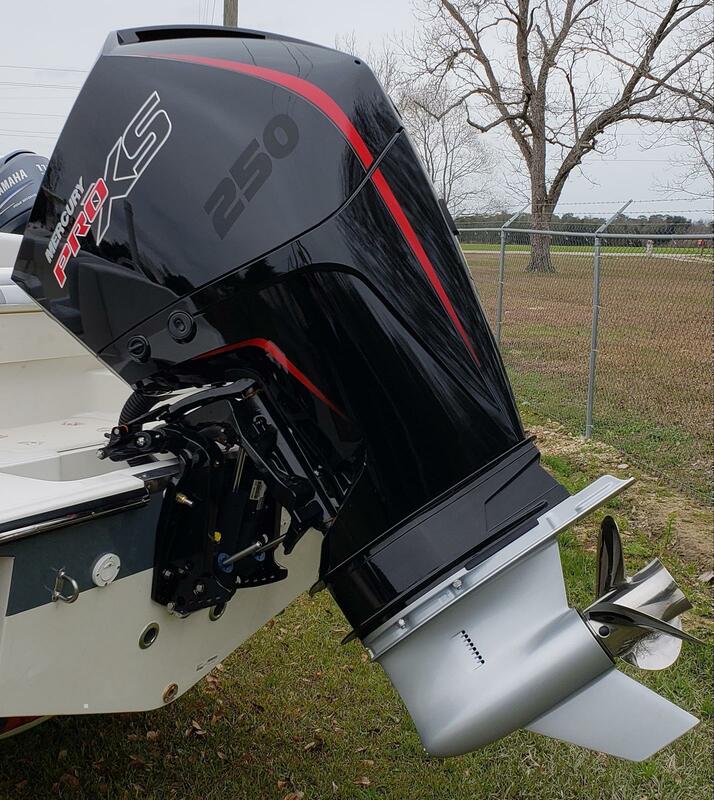 2019 Mako 214 CC equipped with Mercury 200 Pro XS V8 four stroke with DTS. 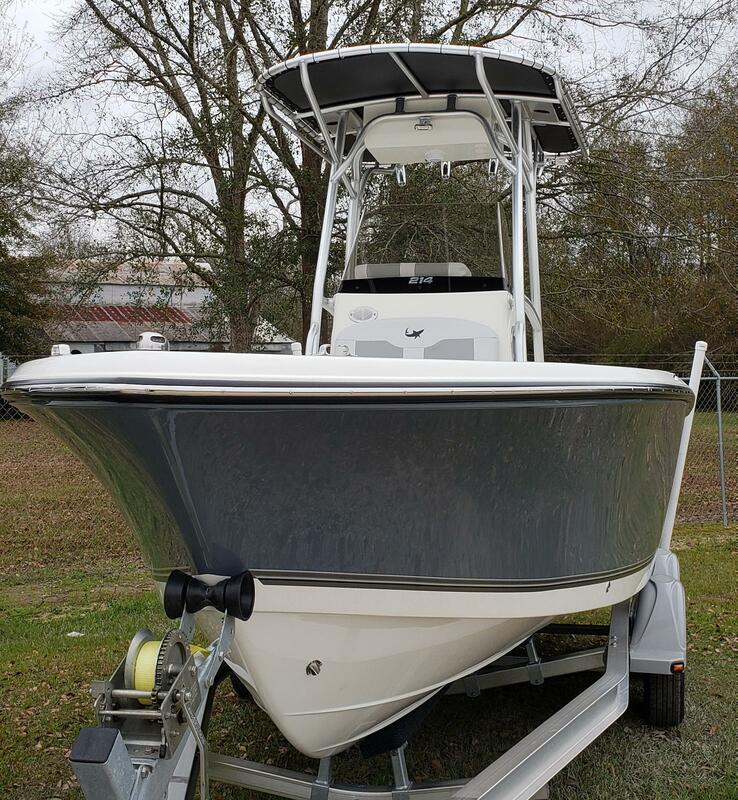 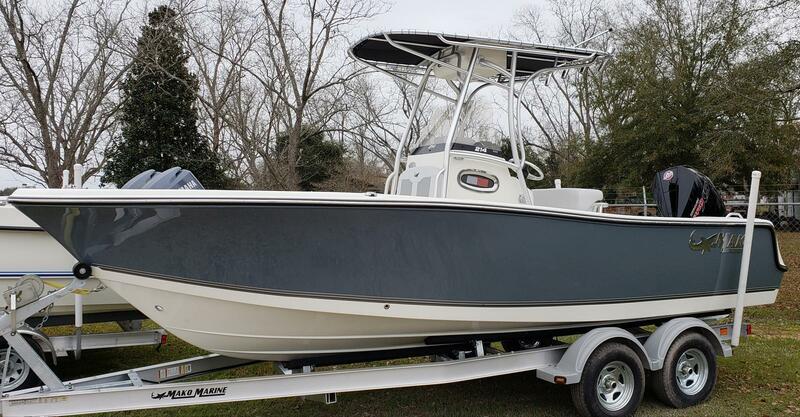 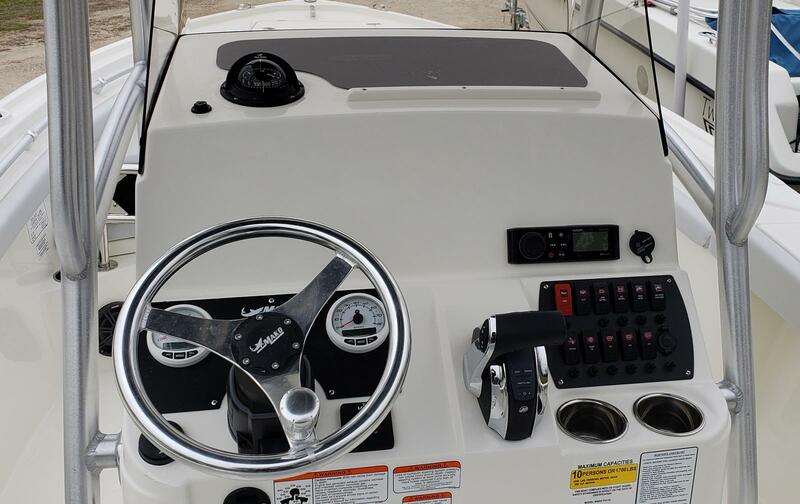 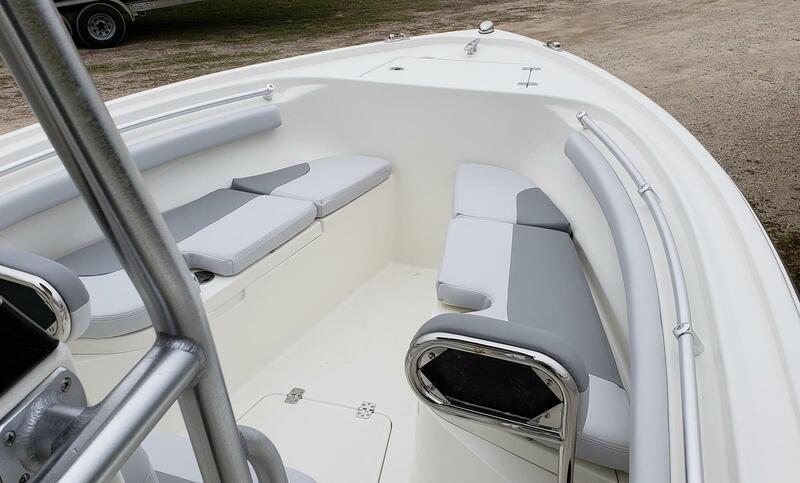 This Mako is factory equipped with swim platform, rear bench seating, coaming bolsters, front cushions and backrests, Fusion stereo, tilt hydraulic steering, compass, raw water, dual battery rigging, head port light and spreader lights. 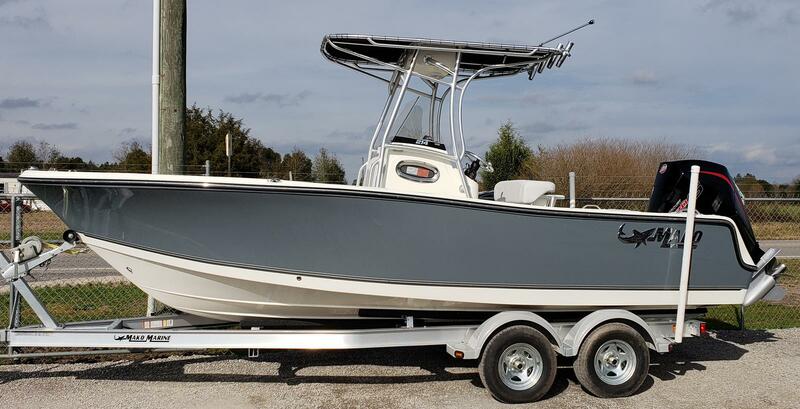 Price includes I-Beam aluminum EZ Loader tandem axle trailer. 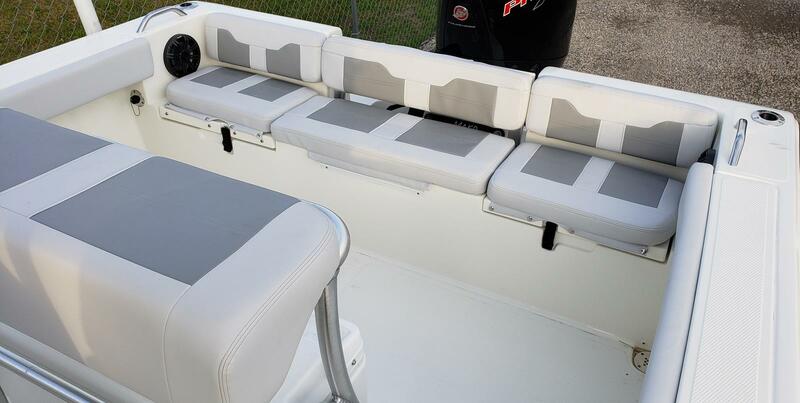 This boat is ready for your choice of electronics. 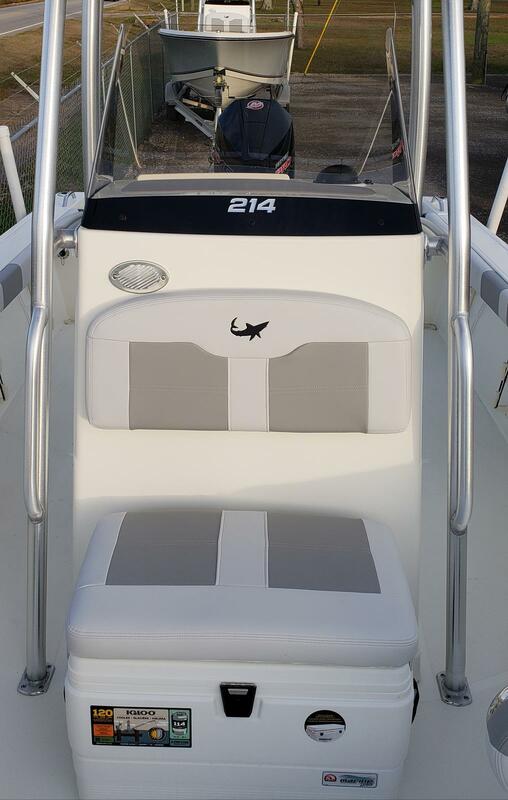 This boat is ready for fishing or relaxing. 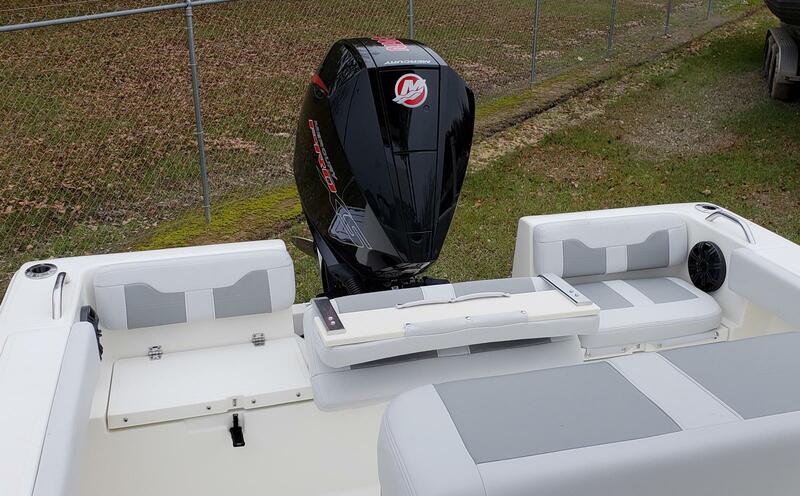 Come see the Mako difference.